St. John’s Wort is backed by centuries & centuries of positive anecdotal & scientific research, seeping its roots deep into the collective Western human experience for its reliable, well-documented antidepressant benefits & mood-balancing support. So is a Nootropic Geek review really all that necessary? You’re damn right it’s necessary: Judgment Day has cometh for our dear Hypericum. Although, let me be frank: I’ve used & enjoyed this herb for years now, particularly during the short, dark days of winter. I praise it for its antidepressant effects. But does that automatically qualify the plant as a cognitive enhancing nootropic? 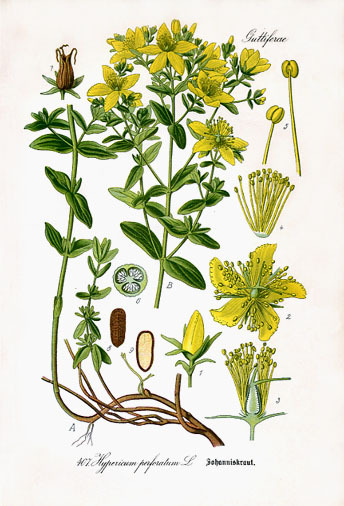 TL/DNR: St. John’s Wort, or Hypericum perforatum, is one of the world’s most popular herbs for naturally treating depression, recreationally used for its mood boosts. While the exact biomechanisms of SJW remain largely unknown, researchers have essentially pinned the plant down as a serotonergic supporter, a prime reason why you shouldn’t mix this potent herb with pharmaceutical grade antidepressants. Is St. John’s Wort a Good Nootropic? 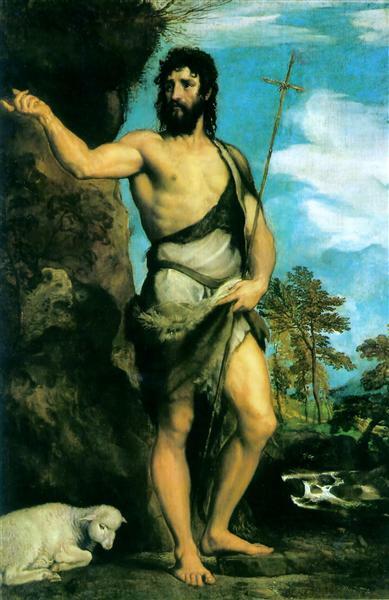 To immediately address your first question: Yes, it’s St. John the Baptist. In ye later olden days, the modern psychological concept of depressive disorder was viewed as a form of possession, a “disease of the soul.” Swiss philosopher, physician, & botanist Paracelsus recommended St. John’s Wort for “healing of the soul” — a prescription for phantasmata, i.e. psychoses & hallucinations. On that note, frankly, who cares how St. John’s Wort reviews as a nootropic. This plant SAVES YOUR SOUL. What am I going to review next? Holy Water??? Stay tuned for my next review. 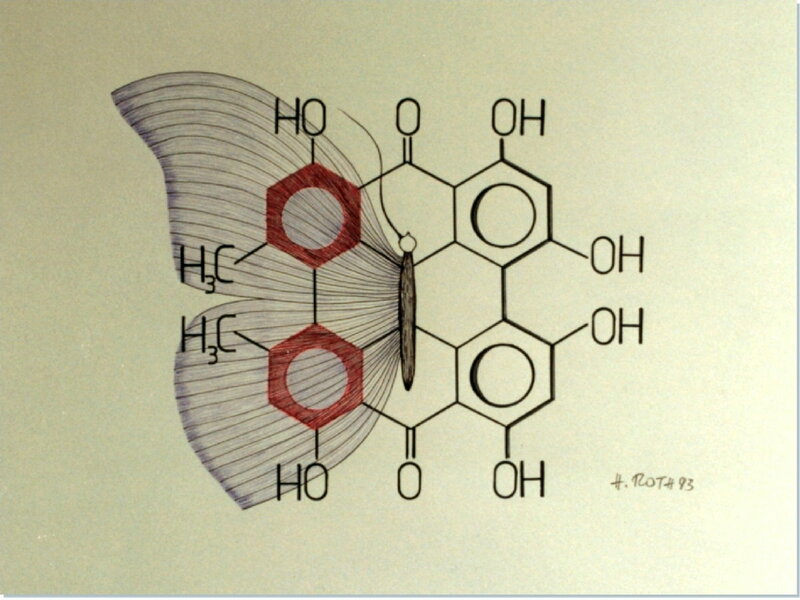 The first theorized St. John’s Wort biomechanism: SJW inhibits beta adrenergic receptors in the brain, consequently reducing the reuptake of neurotransmitter norepinephrine. Wow! …What does that mean? Norepinephrine co-facilitates the stressful “fight-or-flight” effects in the brain, a useful function whilst fighting or flighting but not so much while doing essentially anything else, i.e. studying, reading… quietly existing. Excess norepinephrine activity disrupts normal neuron-to-neuron signalling, limiting the neural pathways underlying basic cognitive functions. By inhibiting the beta adrenergic receptors, reducing norepinephrine reuptake, SJW sustains neural signalling & functionality. One rat study found 300 mg hypericum extract (0.3% hypericin, 4.1% hyperforin) to increase extracellular dopamine levels by 40% in the prefrontal cortex after only 1 hour following administration. A similar reduction in DOPAC and HVA acidic metabolites seemed to suggest that the dopamine increase was a result in SJW extract inhibiting dopamine conversion. Hyperforin extract and, to a greater degree, pure hyperforin strongly inhibit the reuptake of dopamine, resulting in longer dopamine activity in the brain. Some sources recommend St. John’s Wort for ADHD, although this claim is currently unsubstantiated, with one study finding no significant improvement with SJW supplementation (see below). Rather, SJW provides a seemingly safer alternative to pharmaceutical antidepressants with regards to moderate mood & depressive disorders — perhaps major depressive symptoms, pending a physician’s recommendation. Any quote-unquote “nootropic” enhancements on cognition (i.e. focus, memory) only come secondary to St. John’s Wort’s mood improvement benefits. In this randomized, placebo-controlled trial, 54 children aged 6-17 with ADHD diagnoses were administered either 300 mg SJW or placebo three times daily for 8 weeks, while other ADHD medications were not allowed. The ADHD Rating Scale-IV & Clinical Global Impression scales for Improvement and Severity measured changes in ADHD behavior, ultimately demonstrating no significant difference between the groups on any measure. In their conclusion, the researchers ended the report with: “use of Hypericum perforatum for the treatment of attention deficit hyperactivity disorder over the course of eight weeks did not improve symptoms.” More on ADHD Nootropics. Standard SJW dosage recommendation is 900 mg daily, split into 3 servings. SJW extract std. to 0.3 – 5% hypericin dosage recommendation is 300 mg.
Take Note: Due to St. John’s Wort potent serotonergic bio-effects, mixing SJW with pharmaceutical antidepressants is almost universally recommended against. The combination of pharmaceutical serotonergic support and SJW’s inhibitory action may lead to dangerously active levels of serotonin, a life-threatening status known as Serotonin Syndrome. Speak with a physician before stacking SJW with other drugs. As a self-diagnosed Seasonal Affective Disorder sufferer (it’s actually not that bad, nor am I qualified for legitimate self-diagnosis), I occasionally dabble in the Hypericum during winter-time to introduce a little saintly sunlight into my frosted, sublunary existence. My preferred form of SJW: Plain powder stirred into tea. A scoop of St. John’s Wort powder, consumed intermittently, usually 3 times daily if I’m particularly down in the dumps, which, again, tends to be the case during winter-time. Not “high” in any druggy sense of the word but a noticeable mood-lift that was initially jarring. Although, occasionally I felt (or noticed) nothing, leading me to think my self-diagnosis was off: That I’m not truly depressed by any clinical definition. 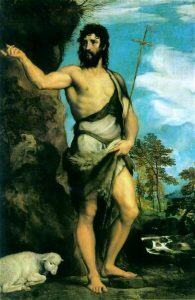 That the mood-lifts were circumstantially based on temporary states of general dysphoria. Even so, I qualify the plain powder SJW experience as positive, reliably peaking for me around the January-February calendar mark. 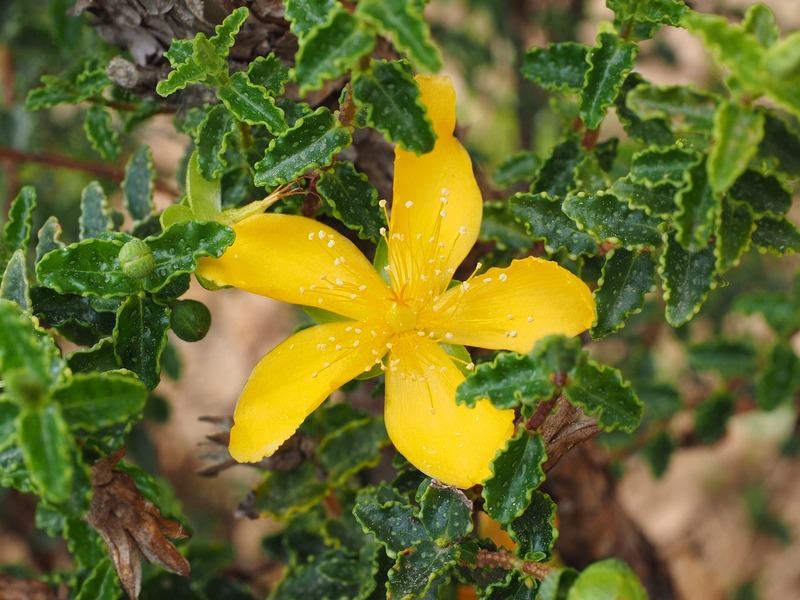 Yes — St. John’s Wort may help your cognition. Although, biomechanically speaking, St. John’s Wort isn’t a true cognitive booster nootropic, at least not directly. With that in mind, I don’t necessarily qualify it as a bona fide nootropic, let alone a good nootropic. My recommendation for new SJW users: Try 300 mg SJW extract std. to < 0.5% hypericin, 3 times daily for a total of 900 mg daily. If you’re a prude like me, start with the powder then amp it up as needed.